Michelle LeBlanc is the Founder of Blue Sky Marketing. A marketing strategist, Michelle guides her client companies through the vast array of marketing tools and choices to craft winning sales and marketing strategies that... achieve their business goals. Michelle has over 20 years of experience in marketing, both in business-to-business and business-to-consumer marketing. Her breadth of industry experience includes industrial, technology, retail, and healthcare among many others. Michelle continually looks for connectivity across industries and technologies that can be leveraged for marketing programs. With a marketing degree from the University of New Orleans and MBA from Tulane, Michelle brings to her clients a strong focus on strategic marketing. 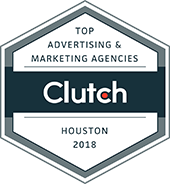 Michelle has served in several capacities across multiple professional organizations including the Boards of American Marketing Association, Houston Advertising Federation and Urban Land Institute Houston. Michelle is currently Immediate Past President of the American Marketing Association‘s Houston Chapter and serves on the Management Committee for Urban Land Institute Houston as Communications Chair. Kate Nilsen is a Digital Marketing Strategist & Social Media Advertising Director at Blue Sky Marketing. On any given day, Kate is planning social media calendars, overseeing social ad campaigns, preparing lead nurturing email... campaigns, editing websites, planning online and offline media buys, or otherwise supporting clients who have more to do than they can handle. 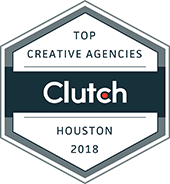 In her career, she has managed marketing efforts for various consumer and B2B products and services as well as non-profit organizations, such as Buc-ee’s, Plantation Homes, Sugar Land Wine & Food Affair, Johnson Development, Hotel Derek, PupSquad and BBVA Compass, to name a few. Kate is a native of the New Orleans area, attended LSU in Baton Rouge and spent two years living in Spain during college. She is an active volunteer in the American Marketing Association Houston chapter, on the Multicultural Marketing Special Interest Group. She’s presented on social media marketing and marketing strategy at the Houston Chapter of the American Marketing Association, Fort Bend Chamber of Commerce, San Jacinto College, UH American Marketing Association and Houston Bloggers. Sara Barbieri is Account Manager at Blue Sky Marketing. She brings creativity, innovation, and passion to any project while she builds great relationships with clients. She is a passionate leader as well as an outstanding team... player. You’ll find her designing emails and banners, planning social media calendars, editing websites, taking photos, writing releases or overseeing the various pieces of a campaign coming together. In her career, she has worked with a variety of clients, from small and medium-sized businesses to multinational corporations to non-profits in a variety of industries, including tourism, IT, aviation, food and consumer goods. She has overseen projects involving marketing communications, media relations, and international events. Sara was born and raised in Italy, in the Milan area. She received her MA in Languages and International Management from the Catholic University of the Sacred Heart, Milan Campus. In true fashion for an Italian, she likes good food, wine and cooking (and blogs about it at pastaandco.me). Yvonne Browning is an Accounting and Marketing Support Specialist at Blue Sky Marketing. She enjoys crunching numbers, keeping budgets in tip-top shape and lending a helping hand with campaign implementation and reporting, among... many other marketing efforts. Yvonne graduated from LSU with a degree in Marketing. While interested in this field, she also became intrigued with accounting, leading her to a career at an engineering firm. At Blue Sky, she is now able to fully exercise both of her professional interests. Born, raised and currently living in New Orleans, she loves visiting Houston to collaborate with her team members. Outside of work she enjoys spending time with her two daughters and volunteers for programs that instill confidence and leadership skills in young girls, including the Girl Scouts of Southeast Louisiana. Danielle Hickey is a Digital Marketing Manager at Blue Sky Marketing. Danielle thrives on learning new things and overcoming challenges. She graduated from St. Edward’s University where she received her B.B.A. in Marketing and... was a member of their nationally ranked soccer team. An active person, Danielle enjoys going to the gym, going to the dog park with her rescue pup, cooking and traveling. Fun facts about Danielle: She has 3 siblings (one being her twin) and was a nationally ranked goalkeeper in college. Born and raised in Houston, Erika Rubalcava has always had a passion for creativity and teamwork. Her desire for a career which promotes imagination, and the realization that marketing is utilized in every successful business,... led her to pursue a degree in that field from Houston Baptist University. Erika joined Blue Sky in 2017 as a Digital Content Coordinator, and cherishes the fact that she can delve into every aspect of marketing, from creating and designing ads, to conducting market research and data analysis. In her spare time, Erika teaches Ashtanga yoga, and aspires to share her practice in order to inspire the growth of others, both physically and spiritually. Liz loves diving headfirst into developing engaging content, planning online strategy, and reporting on data; and has been doing just that since joining Blue Sky Marketing in 2017. A transplant from New Orleans, Liz formerly... managed an interior design and fine gifts store. From website development to crunching sales data to deciding what to sell each season, Liz was busy with all of the happenings of a small business giving her perspective on what’s important for her clients. On the side, Liz wrote for local publications, styled homes for photo shoots, and assisted in the research and writing for an upcoming pop-culture retrospective about a historic New Orleans theme park. Liz graduated from the University of Minnesota with a degree in Political Science. She enjoys binge reading, running with her whippet mix Hazel, and brushing up on the latest digital trends in her off time. Tiffany Murray is a Graphic Designer at Blue Sky Marketing. As a design expert, Tiffany applies her unique aesthetic to projects such a landing pages, websites, banner ads, Facebook ads, email templates and more for clients in... the real estate, restaurant, and corporate security markets. A graduate of the University of Texas at Austin, Tiffany worked in several top advertising agencies executing design projects clients such as Memorial Hermann Hospital, Buc-ee’s, and Monterey’s Tex Mex Café. Megan LaFollett was born in Florence and went to college in Rome, but she hasn’t ever been to Italy – she looks forward to the day that isn’t true! She is a story enthusiast, marketing geek, and insatiable learner, so she’s a... natural fit for her position at Blue Sky as a Digital Content Coordinator. From a background in editing and publishing, Megan made the move to marketing when she discovered that it’s great storytelling that solves someone’s problem and has measurable results! This combination was irresistible, and now she uses her unique perspective to communicate client solutions to the people who need them. Outside of her work with Blue Sky Marketing, she’s the mother of four incredible children, the author of a book for moms, and a connoisseur of uisce beatha (born of a love for Ireland, not related to motherhood). Carolyn is a Digital Marketing Content Coordinator at Blue Sky Marketing. With a background in copywriting and digital marketing strategy, she enjoys the challenge of balancing creativity with revenue-building results. She has... more than four years of experience building campaigns and creating content for both B2B and B2C companies in almost every field, including healthcare, eCommerce, entertainment, and technology. While attending college, Carolyn worked as a full-time medical assistant and part-time barista. In 2014, she received her degree in Emerging Media Communications from DeVry University, and she is proud to bring this wealth of varied experience into her marketing work. In her spare time, she enjoys cooking, writing fiction, admiring viral Youtube videos, and spending time with her son. Doug Goff, Chief Operating Officer · Johnson Development Corp.